New progress has been made in the effort to qualify key manufacturing steps for correction coils—the 18 superconducting coils that will have a role to play in the overall magnetic geometry produced by ITER's different magnet systems. At ASIPP in Hefei, China, a recent manufacturing readiness review has confirmed that the fabrication of the coil cases can begin. 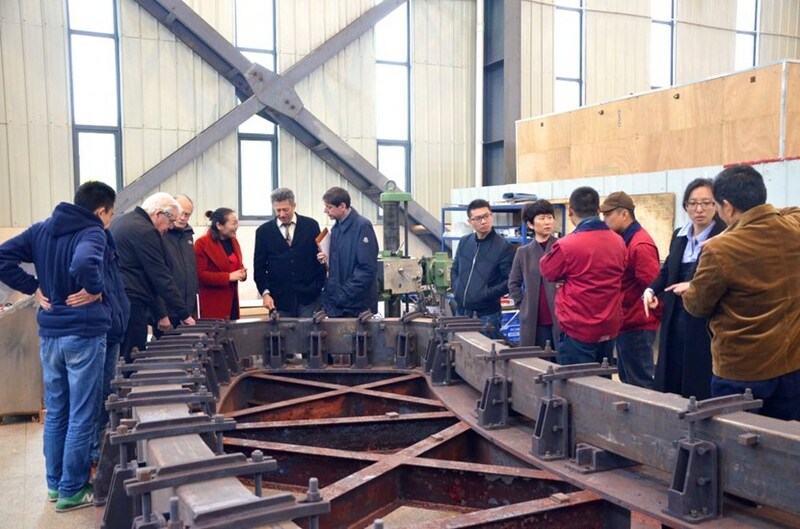 Experts and representatives of the ITER Organization and the Chinese Domestic Agency inspect a qualification coil case section in March. 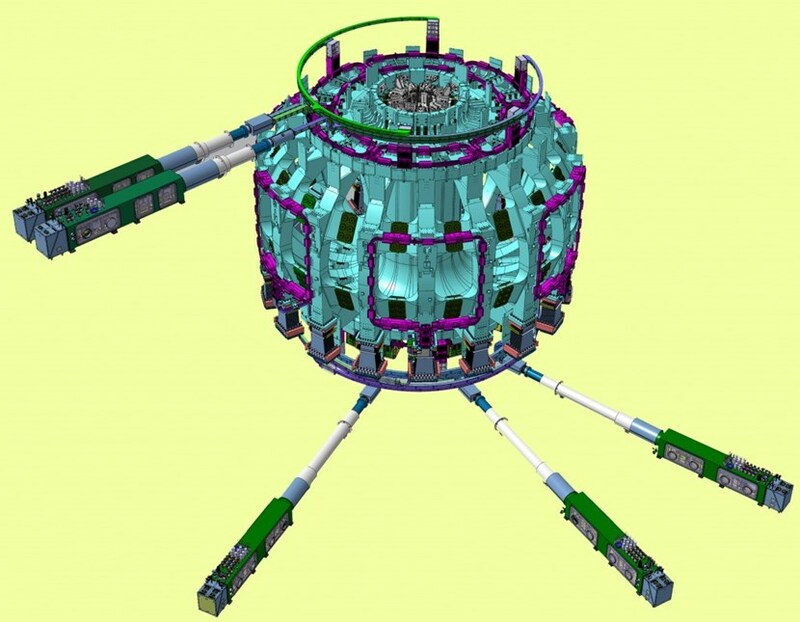 Six bottom coils, six side coils and six top coils will be installed around the Tokamak to correct magnetic error fields. It was the third of four reviews planned to review the full scope of correction coil manufacturing—a manufacturing readiness review held from 22 to 23 March to confirm that the casing of the bottom correction coils had successfully passed all qualification steps. Specifically, the review panel was asked to assess a qualification casing section in the following areas: production of base material, assembly, welding, heat treatment, and finally dimensional control. Following the successful outcome of the review, work can now start to fabricate the production casing segments. All material has been ordered from the Chinese supplier TISCO. Eighteen steel cases will be fabricated for the correction coils from 120 tonnes of casing material. Case segments will be produced, welded together and finally heat treated—a procedure that allows the welds to "relax" and release stress, and produces a structure that remains stable over time. After the coil winding pack is inserted, the top lid of the case will be positioned and closure welded. Shown in magenta: six top and six side correction coils. The bottom correction coils (not visible) are in production now at ASIPP in China. The coil winding process had already been validated through earlier manufacturing readiness reviews and the first bottom coil production winding pack has now progressed to the vacuum impregnation stage. Later this year a review is planned to assess the final qualification steps—the insertion of the dummy winding pack into a prototype case and laser closure welding. "It was highly useful for the review panel to be on site at ASIPP in Hefei to see the production facility and all prototype realizations, as well as the first production winding pack and casing. Preparations ahead of the meeting and constructive discussions with ASIPP over the two days also contributed to the quality of the review," says Fabrice Simon, from ITER's Magnet Division. "Correction coil manufacturing is progressing on schedule and the first six coils—the bottom correction coils—are expected on site in early 2019."